Add gift packaging to any order. 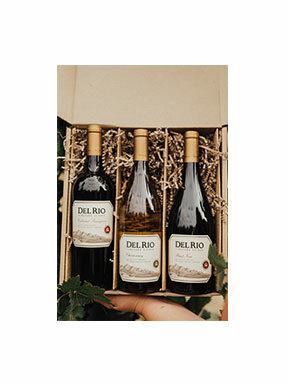 Our Del Rio Vineyards’ gift boxes each accommodate up to 3 bottles of wine. Please remember to order the right amount of gift boxes based on the number of bottles in your gift order. 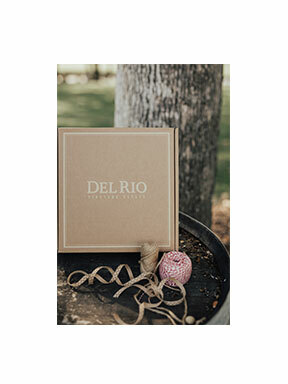 Featuring our estate label, these wines showcase the unique terroir of Del Rio Vineyard and the classic style that has been developed through generations of winemaking. The perfect gift for your favorite wine lover. Wine Club members please indicate your membership at check out for discount to apply. The refined style of our Malbec will astonish you with its concentrated aromatics of blackcurrant, cedar and dry herbs. The mouth is well balanced with crisp acidity behind the dark cherry and chocolate flavors. 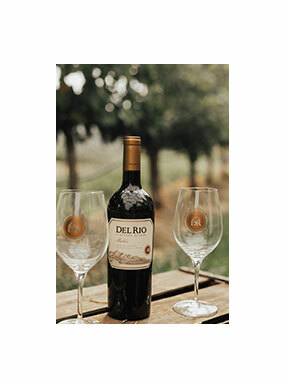 This elegant wine is accompanied by two classic Del Rio wine glasses. A gift crafted for sharing. Our Ruby style Port is 100% Syrah fortified with brandy and aged for 30 months in neutral French oak barrels. This elegant wine displays a dark and rich crimson color, and when opened unveils aromas of cherry, pastries and sappy wood. This port boasts a rich and generous flavor profile packed with blackberry and raspberry flavors as well as hints of cinnamon and dark chocolate. 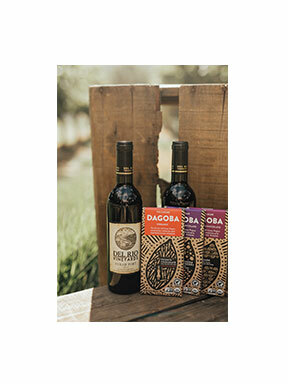 Completing the gift is an assortment of Dagoba chocolate bars made locally in Ashland, OR.